Don't cancel that family walk in the countryside just because it's cold outside! The Kids Baksmalla Fleece Hat from Jack Wolfskin is made of warm, robust 100% recycled fleece and will keep your kids' ears warm and cosy. 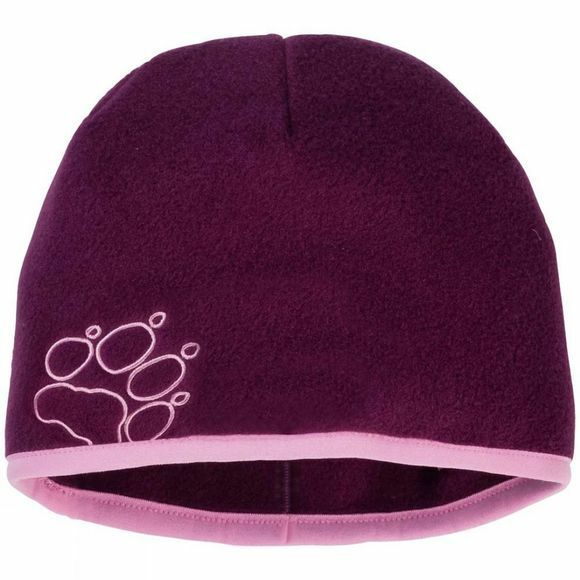 The hat is adorned with a large, eye-catching paw print.